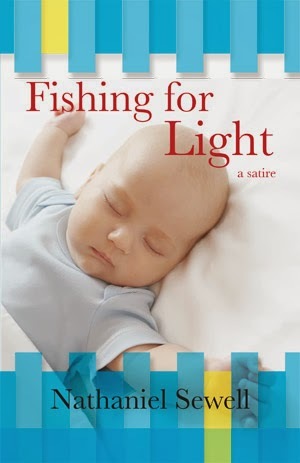 Comic Towel: Guest Post: Nathaniel Sewell on Writing "Fishing for Light"
Guest Post: Nathaniel Sewell on Writing "Fishing for Light"
The last link is for, Galaciadalacidesoxiribunucleicacid or ‘Homage to Crick and Watson’ that was the one that hit me emotionally the hardest. If you read the painting’s description, the key for me are the last words, “all who suffer”. The reason is I have a strong interest in the science of Epigenetics or how life choices, our environment and trauma alter our genetic code. My first novel, Bobby’s Socks was a tough story about child sexual abuse and the epigenetic link to suicide. As you might imagine, I know what it feels like to be traumatized. But I prefer to laugh, be weird, so Fishing for Light is a satire. The common link between the two novels are the main characters; they had a life trauma, Bobby was attacked, and Eddie the sudden death of his father. That is not funny. But what is satirical, is that 21st Century society was swirling around Eddie. Now that idea can be wacky, and surreal. Why? Because Eddie was unaware that he had magic DNA, and he was destined to fight Professor Quan’s accidental creation, the evil Ms. Prosperina! But the life trauma, it altered Eddie’s destiny, and switched on the wrong gene instructions. So Professor Quan and Captain Lovins have to fix the problem because Ms. Prosperina intended to alter humanity in part by expanding her Starry Eyed Coffee Hut empire. By the way, that’s why you should always drink your coffee black. 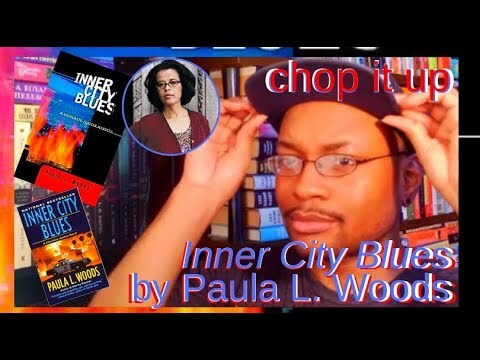 I think I should share some of the novels hidden themes, it might improve the reading experience. I created a triad, Eddie represented a son and the Millennial Generation, Professor Quan represented a father figure and personal responsibility and Captain Lovins, a NAVY SEAL, was the defender of the weak and in the military, they are referred to as, ‘ghosts’. And it is important to note, SEAL’s live by a code, I recommend you look it up and read it. So we have a father, son and ghost for those who recognize a Christian theme. But I also have Buddhism and Hinduism references hidden within the story. And Ms. Prosperina, a Chimera, she represented that hidden government and the organized conspiracy slithering into every aspect of society, even down to inventorying our base DNA code, so she can control humanity. If you think that is a crazy idea, I recommend you read my blog post - http://www.nathanielsewell.com/thank-you-usa-today/ and she had the power to shape-shift into some really nasty religious symbols. She even quietly helped fund a secret IRS unit that was trying to track down Professor Quan. Her name, Prosperina, came from Greek and Roman mythology, and the tale of Pandora’s Box. After Pandora opened the box, what got left inside? Hope. And of course, Professor Quan and Captain Lovins stole the Hope Diamond. He needed it for his experiments. Yes, I have a lot going on within the story on purpose, remember, this is a satire and one of my influences for writing Fishing for Light was Salvador Dali. I think good literature is about an issue beyond us. I think art should move our emotions and trigger us to stop and think about this world we live. And to wonder if there is a higher power beyond us that we cannot see, but only sense. But then again, Professor Quan does find pure love, but think about it, to have love you also need to have hope. Right?